Good things come in small packages! 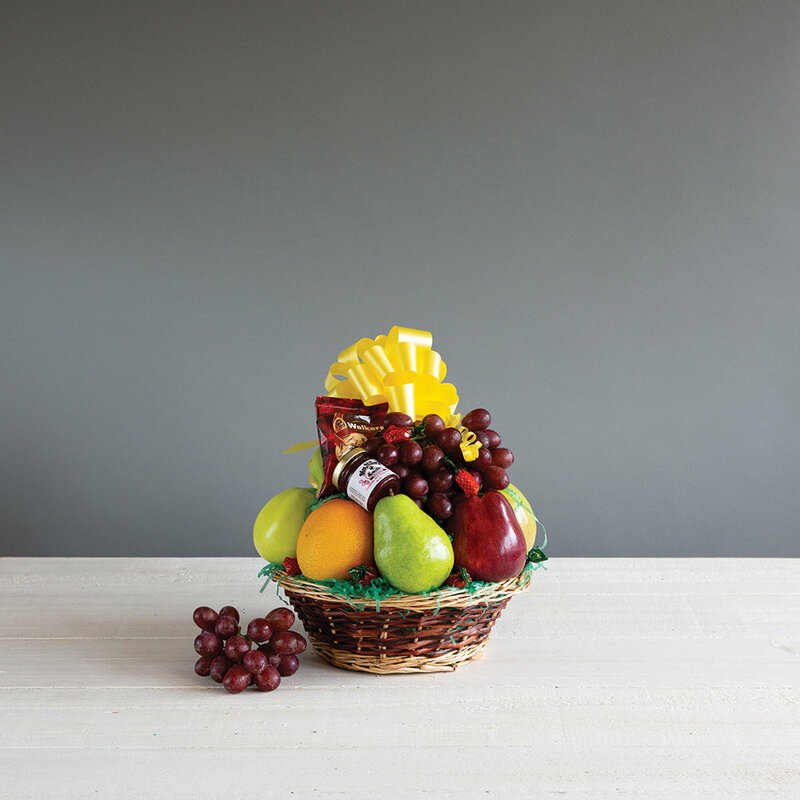 This gift includes a variety of fruit, preserves and a cookie topped with bananas and grapes. *NOTE: This basket will not include bananas or grapes when shipped via UPS.